Crews battled a small fire in the sub-basement of the Time & Life Building in midtown Manhattan Monday evening, the FDNY says. 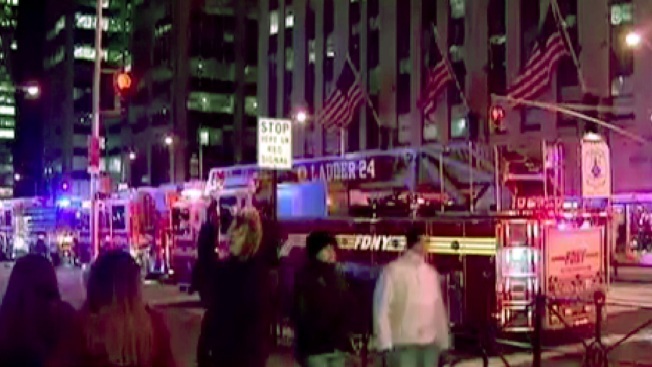 Firefighters were called to the scene after getting reports of smoke in the Sixth Avenue building at about 10:30 p.m., according to the FDNY. Crews found a small fire in the duct work, and it was quickly snuffed out. The building was evacuated while crews worked, and smoke could be seen in the area. One worker at the building said she could smell smoke from the 26th floor. Heavy FDNY presence could be seen in the area and West 50th Street was closed between Sixth and Seventh avenues.